“Nearly perfect” is not an option. Stronger and smarter component solutions for your business. 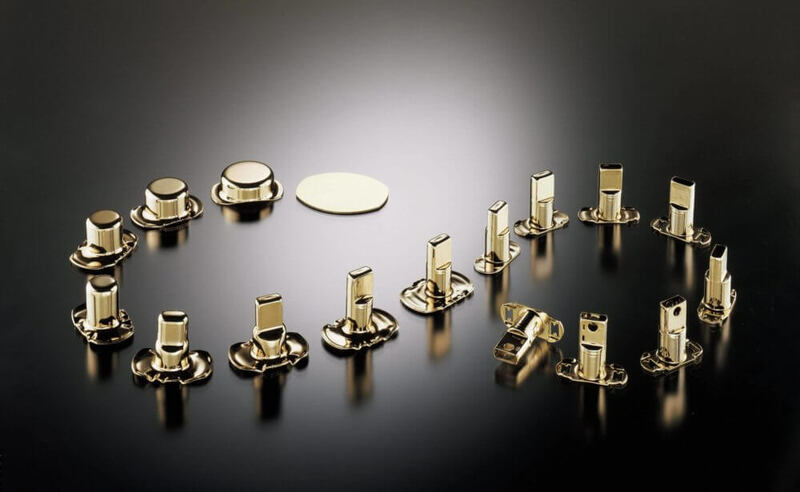 With extensive experience working with many different types and grades of metal, Trans-Matic serves a broad array of industries, including automotive, plumbing, lock and builders’ hardware, lawn equipment, and more. Each deep draw process we use ensures we deliver the precise parts you need in the most efficient way possible, and our testing gives you confidence that we ship quality deep draw parts. Improve metal structure to produce stronger finished parts. Trans-Matic produces deep drawn parts up to 12” long (200mm), using materials from 0.008” (0.127mm) to 0.180” (4.5mm) thick. Every deep draw stamping starts as a flat disc of sheet metal, blanked from coiled stock. Trans-Matic improves material utilization by staggering our blanks to reduce scrap and material costs. The deep draw stamping process minimizes waste, meaning your parts are made with the minimum amount of material required and you aren’t wasting money on metal that gets tossed in the scrap bin. After cutting the blank at the first die station, the blank is cupped around the nose of a punch and pressed into a die to form a cup. This first deep draw forming operation increases the strength of the part through work hardening. Depending on your desired length-to-diameter ratio, Trans-Matic will design tooling with several draws to create the basic shape of your deep draw parts. The forces produced in the deep draw stamping process naturally cause the shell wall to thin out, while the shell flange thickens at each stage. Our team designs tooling to stretch the metal as evenly as possible into the part’s intended shape. Trans-Matic averages two imperfections per million. For us, excellence means working each day to lower that fraction just a little bit. We’ve been perfecting our deep draw forming processes since 1968, and have the skills and experience to deliver the high quality, high precision deep draw parts you need. Contact Trans-Matic to get our team started on your deep draw stamping project.